Over the next few years we will be taking a look at General Douglas MacArthur, concentrating on his rule of Japan and his role in the Korean War. A larger than life figure even while he lived, MacArthur has always sparked strong hate and love. A number of myths have cropped up about Macarthur, and several posts will deal with dispelling these myths, so that we can look at him in the cold light of historical fact. The first myth up is that of Dugout Doug. The myth of Dugout Doug contends that MacArthur was a coward, who refused to share the dangers of his troops on Bataan, and fled from them, leaving them to endure defeat and brutal captivity, often ending in their deaths. The evidence points to a combination of factors. (1) Some of the more informed and intelligent elements in Japanese official circles realized that they were fighting a losing battle and that complete destruction lay ahead if the war continued. These elements, however, were not powerful enough to sway the situation against the dominating Army organization, backed by the profiteering industrialists, the peasants, and the ignorant masses. (2) The atomic bomb introduced a dramatic new element into the situation, which strengthened the hands of those who sought peace and provided a face-saving argument for those who had hitherto advocated continued war. (3) When the second atomic bomb was dropped, it became clear that this was not an isolated weapon, but that there were others to follow. With dread prospect of a deluge of these terrible bombs and no possibility of preventing them, the argument for surrender was made convincing. This I believe to be the true picture of the effect of the atomic bomb in bringing the war to a sudden end, with Japan’s unconditional surrender. If the atomic bomb had not been used, evidence like that I have cited points to the practical certainty that there would have been many more months of death and destruction on an enormous scale. Also the early timing of its use was fortunate for a reason which could not have been anticipated. If the invasion plans had proceeded as scheduled, October, 1945, would have seen Okinawa covered with airplanes and its harbors crowded with landing craft poised for the attack. The typhoon which struck Okinawa in that month would have wrecked the invasion plans with a military disaster comparable to Pearl Harbor. These are some of the facts which lead those who know them, and especially those who had to base decisions on them, to feel that there is much delusion and wishful thinking among those after-the-event strategists who now deplore the use of the atomic bomb on the ground that its use was inhuman or that it was unnecessary because Japan was already beaten. And it was not one atomic bomb, or two, which brought surrender; it was the experience of what an atomic bomb will actually do to a community, plus the dread of many more, that was effective. This video gives a good feel for the almost unbelievable scope of the Pacific War. The distances were immense, the areas fought over often quite primitive, and the logistics were frequently nightmarish. One of the main reasons why the Japanese were defeated was that they simply lacked the ability to supply the vast areas they initially conquered, with Allied sea and air power increasingly making such supply impossible as the War went on. 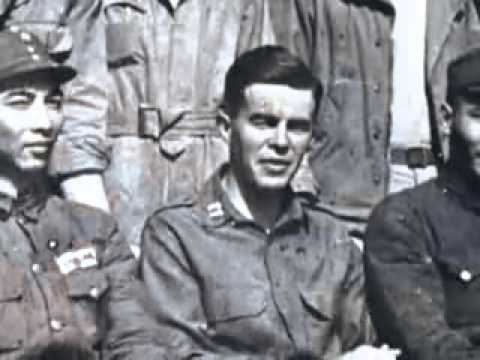 Sometimes regarded as the first casualty of the Cold War, Captain John Birch died seventy years ago. Born in 1918 in India to American Baptist missionaries, he followed in his parents’ footsteps by becoming a missionary in China in 1940. After the Doolittle Raid he helped rescue some of the raiders who landed in China. He was commissioned a First Lieutenant, later promoted to Captain, in the Fourteenth Air Force. General Chennault, legendary founder of the Flying Tigers, got him to accept the commission by telling him that he could still function as a missionary in his off hours. He performed intelligence missions behind enemy lines for the Army Air Corps and the OSS. While on these missions he would conduct services for Chinese Christians. He was utterly fearless, despising both the Japanese and the Chinese Communists. He built up an extensive network of Chinese who passed along information to him about Japanese troop movements and shipping that he passed on to Chennault for bombing attacks. Most Americans are unaware that during World War II Japan had two programs seeking to build an atomic bomb. In 1939 Dr. Yoshio Nishina, a Japanese nuclear physicist, recognized the potential of the then theoretical atomic bomb. ( In 1934 Professor Hikosaka Tadayoshi theorized about such a bomb.) In 1940 he spoke with Lieutenant-General Takeo Yasuda, director of the Army Aeronautical Department’s Technical Research Institute, about the potential of an atomic bomb. The Japanese Army began its program to develop an atomic bomb in April 1941. Meantime, the Japanese Navy began its own program creating the Committee on Research in the Application of Nuclear Physics chaired by Dr. Nishina in 1942. 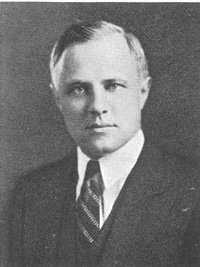 The Navy’s project ended in 1943 when the Committee reported that while such a bomb was feasible it predicted that it would be difficult for even the United States, with all its resources, to harness the power of the Atom in time to have an impact on the War. Americans traveling through Argentina are sometimes surprised when they come across the town of Lincoln. 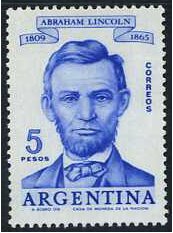 Founded in 1871, the name of the town was the result of a decree of the government of Argentina on August 23, 1865 which ordered that the employees of the government of Argentina observe three days of mourning for Lincoln and decreed that the next town founded be named in honor of Lincoln. Domingo Faustino Sarmiento, President of Argentina from 1868-1874, was such an admirer of Lincoln, that he wrote the first biography of him in Spanish.